I made this pillowcase – well, this is the top, it’s not been sandwiched or quilted yet. I used 9×4 rectangles. That’s just what fit the final dimensions needed for the pillowcase. Remember, with the method I described (as with the half square triangles) you always get doubles, so in this case, you end up with two full chevrons. In my case, to use 2 chevrons for my pillowcase, each rectangle used needed to be 9 in long. This is what the rectangles look like after they are sewn and sliced up. And this is what they look like sewn in rows. You might notice that I actually cut the last row into two unequal parts to make the chevrons a bit off center. These chevrons are quite “shallow”, not pointy as you get with the half square triangles. This makes them less obvious. But it also makes them look a bit like waves. The colors? I don’t know if I am liking them so much . We’ll see when it’s all quilted. But they will fir our dart linens set. 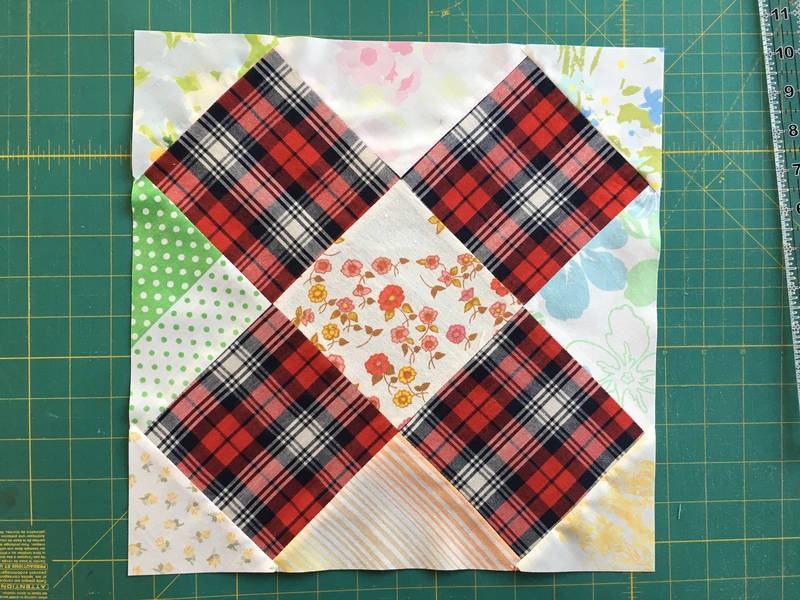 This entry was posted in quilting on June 17, 2012 by flekka.